Home / Computer / Who Invented the First Computer? Queestion: Who Invented the First Computer? 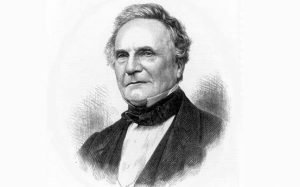 Charles Babbage basically known as the English mechanical engineer and polymath. He was the one who originated the concept of the programmable computer. Therefore, Charles is known as the father of the computer. He invented the first mechanical computer in the early in the era of 19th century. The use of computer word recorded for the very first time in the year 1613. It basically used for describing the human being who performed calculations or computations. Until the 19th century, it remained the same with its functioning. He made the use of punched cards machine for providing the input of the programs and data. For output, the machine adjusted to the printer as well as curve plotter and a bell. Hence, the machine has a quality to punch numbers straight away on the cards to be read as later on. Keyboard is an input device or output device? here we have answer must know!